so busy, so trashy, so cheap - i bloody love it! Hi, folks I'm just wondering can anybody help me out, I was in the bar on Monday 19th November, 2018 around 11.30 pm there was a problem that I encountered in the unisex toilets, I found my girlfriend in stall with another bloke from our table she left the table when I was out having a cigarette I walked down and caught her with the door closed and him, he was from ukraine, as you can see my point I was pissed at her and left very angry!/she said she was spiked which I doubt because she screamed at my and ran after me. If anyone sees this or can shed light to me cheers!! We tried first time after good news from friends & not dissapoint! Very delicious and special foods. Jak na banię, to do BaniaLuki! Atmosfera - zwłaszcza wieczorową porą - biesiadna. No i zagrycha w sam raz, np. 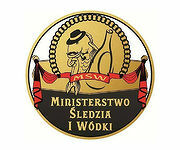 bigos, albo najlepsza w mieście galareta.